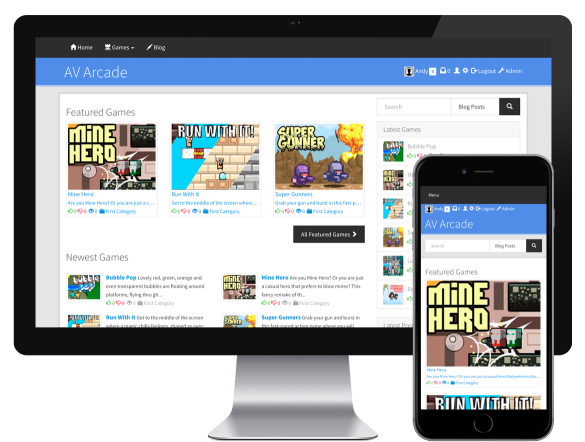 AV Arcade is an arcade script that allows you to effortlessly create a site full of online games. 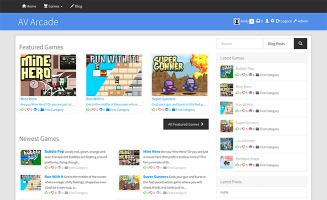 Originally created as a flash games script, AV Arcade now supports all game types including Unity 3D & HTML5 games. AV Arcade 6 is a total rewrite for AV Arcade, rebuilt from the ground-up with powerful new features. Don't worry though, if you need an older version all purchases include a copy of AV Arcade 5.8. 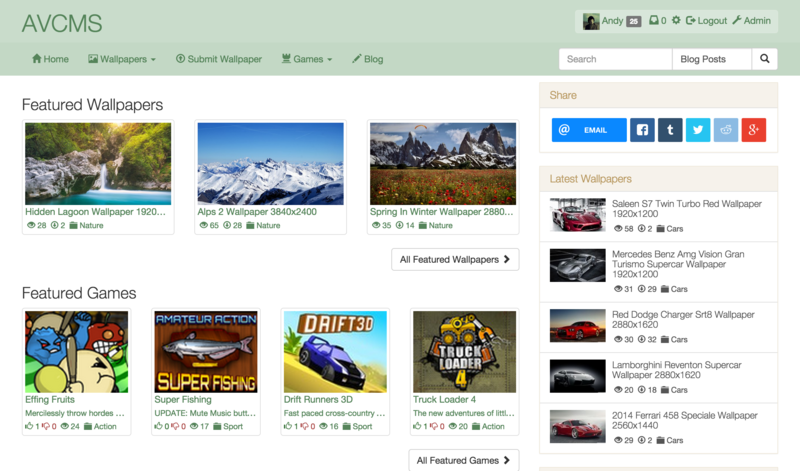 AV Arcade implements game feeds from some of the biggest publishers of web games. 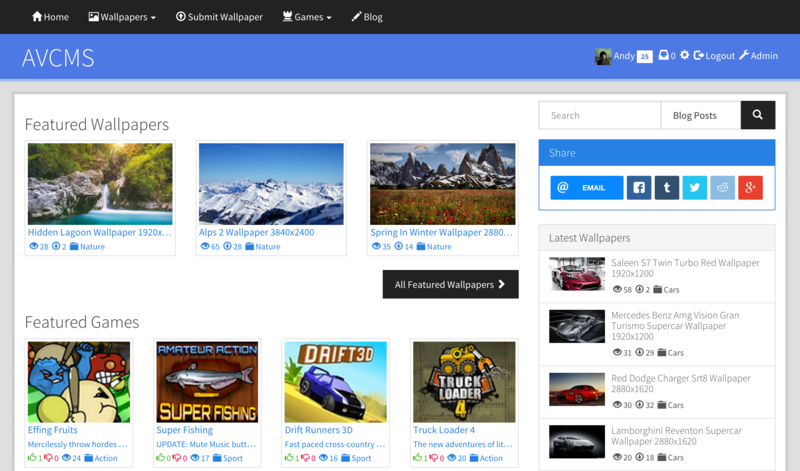 Straight from the admin panel you can install games to your site with just one click. The game file and thumbnail image are downloaded and all the game info (like description & instructions) are added automatically. 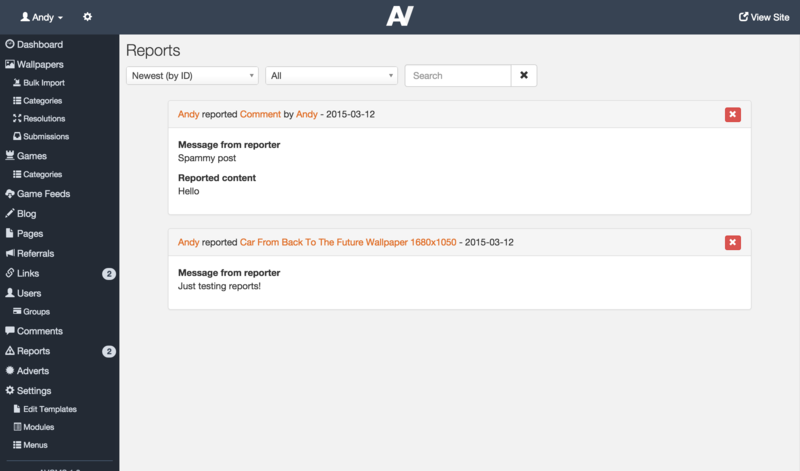 With AV Arcade, adding and editing your site's content is super-easy. If you want to add a game that's not included in the game feeds, you have a number of options. 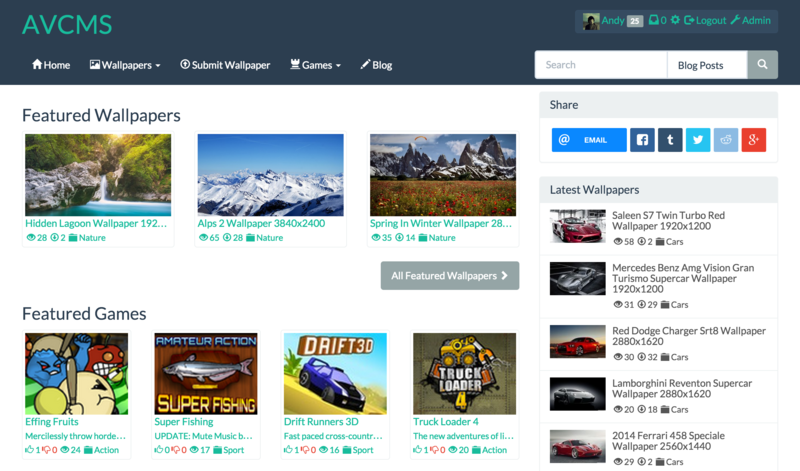 Your users can also submit games to your site. 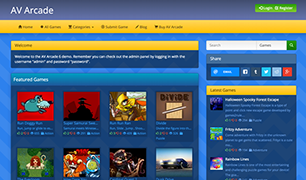 AV Arcade supports all web game types. Flash, Unity, HTML5, Shockwave & anything else you throw at it. You can enter custom HTML or even embed a web page in an iFrame. Enter a link to any zip, rar or exe file and AV Arcade will provide a download link instead of embedding the game. Users earn 'points' for completing certain activities on your arcade such as commenting, playing games and referring users. This total is then displayed next to their username throughout their site. 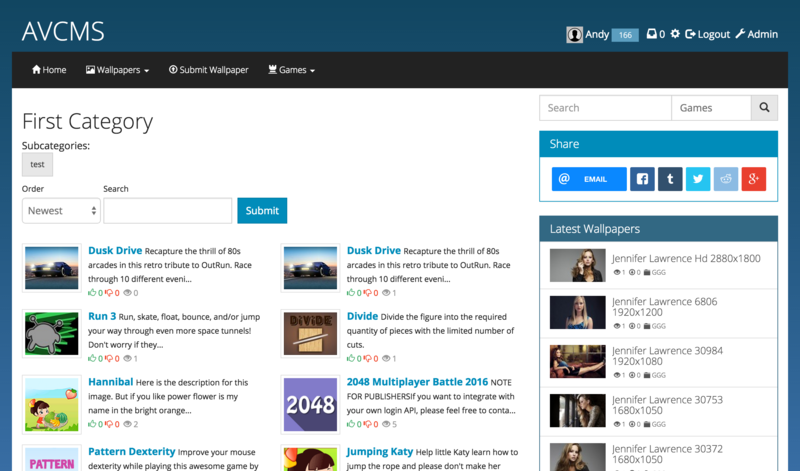 Think of it like Xbox's Gamerscore, but for your site! Alongside normal banner advertising you can also add an advert to show users before the game loads. You can force users to register after playing a certain number of games to encourage users to return to your arcade time and time again. 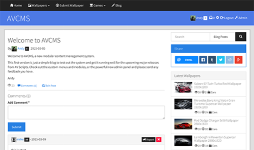 AVCMS is our new content management system that powers AV Arcade 6. All of these features are included with AV Arcade 6. The best way to learn more about AV Arcade is to check out the demo. You get unlimited support and updates. The only time an update will be paid-for is if the script is massively overhauled. 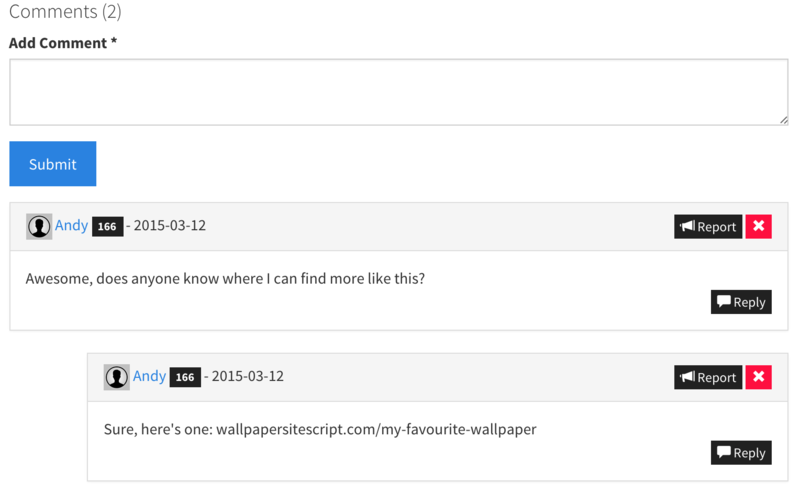 The last version got massive free updates for 5 years! Can I upgrade from a AV Arcade version 5? While not a direct upgrade, AV Arcade 6 can import all of your site content from AV Arcade 5.8. So all your Games, Users and more will be imported plus old URL's will be redirected to new ones. Is there a discount for AV Arcade 5 owners? Yes, current AV Arcade owners can upgrade to version 6 for a lower price. Check the store for options when purchasing. When you purchase the upgrade you will not be given a new license key, but will instead continue to use your old license key. If you purchased AV Arcade 5 before the 6th October 2014, the upgrade price is $29. 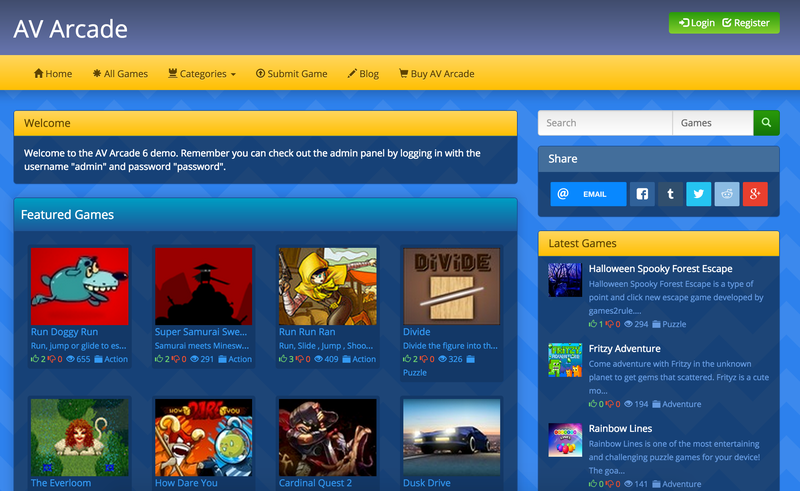 If you purchased AV Arcade 5 on or after the 6th October 2014, the upgrade is only $10. If you purchased after March 1st 2015, the upgrade is free. If you qualify for the $10 or free offer, you can get your discount coupon here. 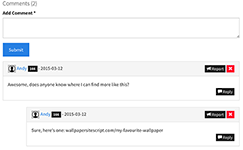 Is there a forums add-on? Sorry, the forums add-on has been discontinued. If you need an AV Arcade 5 license, don't worry. All AV Arcade 6 purchases come with a copy of AV Arcade 5.